You can add this to one of the reasons why Tanzania is such a special place. 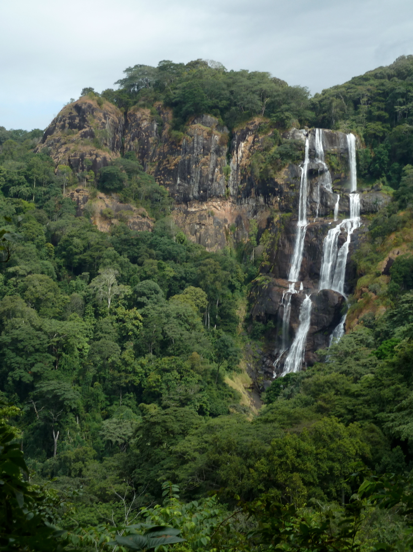 Sanje Falls, Udzungwa National Park, in the Eastern Arc Mountains of Tanzania. Photo credit: author. 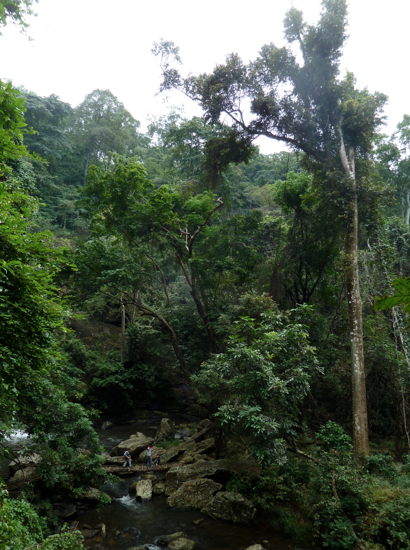 Not only do these tropical forests harbor a large number of endemic species, they are critically important in maintaining freshwater resources that people depend on for agriculture and domestic uses such as cooking, bathing, and drinking. This link exemplifies why the protection of habitats – and not just a focus on individual species – is so important. If we take a holistic, big-picture approach to resource conservation, many of the associated issues in development become more manageable: more people have more access to cleaner water, meaning that improved personal hygiene and sanitation lead to lower medical costs. Simultaneously, when coupled with sustainable management of soils, food security improves, leading to the economic growth of farmers’ livelihoods. Higher levels of biodiversity in protected areas often also mean an uptick in tourism and the revenue that generates for both local communities and national governments. Udzungwa forest. Look closely, and you can see my son on the footbridge at the bottom of the photo. The conservation of biodiversity in the context of a developing country like Tanzania is a tricky, complex process involving myriad factors, all of which are changing rapidly. If the answer were simple, the problems mentioned above would have been solved decades ago. I just hope that the people making those decisions can find a way to sort it out before we’ve lost it all forever – the forests, the species, and the livelihoods.